Social sports have risen in popularity over the past few years. Gone are the days where people played sport with the sole aim of winning, and here are the days where sport is a fun pastime which can be enjoyed with your closest friends and family members. Playing sport in a social setting isn’t all about winning – most social leagues don’t have any form of ladder, nor do they play finals. Instead, social sports aim to get more people being active regularly, to teach newcomers the sport, and to encourage participation among people who otherwise probably wouldn’t play any sports. 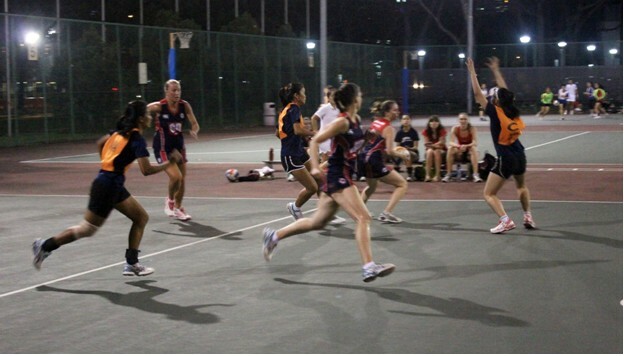 Social netball is one of the most popular social sports in Australia. Netball has long been one of the most popular sports for women in Australia. However, more and more men are playing every year, and more and more social leagues (where men and women often play together) are being created to cater for the increase in players. Basically, social netball has the same rules as standard netball, but with one exception – men and women usually play together in a mixed competition. There are rules governing the number of men who can play on any team, and this helps keep the competition fair. In most cases, the female players are the best anyway, as a lot of them have grown up playing the sport. The aim of social netball is to give people who probably wouldn’t play a competitive form of the game a chance to have some fun and exercise for a few hours per week. It allows people to get physical and to have fun with a group of friends or colleagues, and it provides a simple stress relief avenue. Since most social netball leagues are basically uncompetitive and designed for people of all skill levels and physical abilities, they generally don’t have a finals series or ladder. This allows people to have a lot more fun than they might have playing a competitive form of the game, and it can also help people new to netball learn the rules and strategies in a low pressure environment. What are the benefits of playing social netball (Or any other social sport)? The benefits associated with social sports are wide and varied. In fact, it has been argued that people can get a lot more positives out of social sports than out of traditional competitive sports. Traditional competitive sports can cause emotional distress, competitive stress, and many people don’t even enjoy playing because of the brutal competitiveness of the sport. Social sports can help boost self-confidence –Unfortunately, many people suffer from an extreme lack of self-confidence which heavily impacts their sporting life. Since social sports are generally free from extreme competition and don’t require a lot of skill or knowledge of the game, they provide the perfect environment for people to improve their self-confidence. It doesn’t matter how long you have been playing netball for or how skilled you are, confidence issues can affect anyone – and social netball can help you address these issues! Social netball can help you get enough physical activity to maintain a healthy body – Many people in the modern world have office jobs which involve them sitting in a chair or behind a computer for hours at a time. This means that they generally don’t get enough exercise, and that their health suffers as a result. Social netball provides a great avenue for exercise, and can help people like this get their 30 minutes of physical activity per day. It doesn’t require a lot of time commitments or a high level of fitness, and is therefore perfect for busy people who simply can’t commit a lot of time to their sport. Social netball can lead to new friendships and relationships – The main focus of social netball is generally to have fun and meet new people. As with any social sport, social netball offers a great opportunity to develop new friendships and relationships, to make new contacts, and to simply get out of the house and socialise for a few hours! Social sports can be a great way to release and forget about things for a while – Sometimes, life can just get to be too much. Maybe you are going through a tough break-up, are having a hard time at work, or simply don’t know where you are going in life. Playing social netball can help you forget about your problems for a few hours, can help you let go of things which have been bothering you, and can simply give you a bit of time to free your mind and let go of difficult problems. Are you interested in playing social netball? Do the above benefits appeal to you? Do you want to give social netball a go? If so, then consider getting a team together and registering in your local competition! All major cities and most larger towns will have some sort of social netball competition. If you aren’t sure where the nearest one to you is then try getting in touch with your local netball league or with netball Australia. Social netball is a great way to get out and meet new people. It can help you make new friends, can help you release any emotional baggage that you are carrying, and can help you improve your skills and self-confidence. So what are you waiting for? Join a social netball team and start reaping the benefits today!